Simple File List is a basic file list with optional front-side uploader. 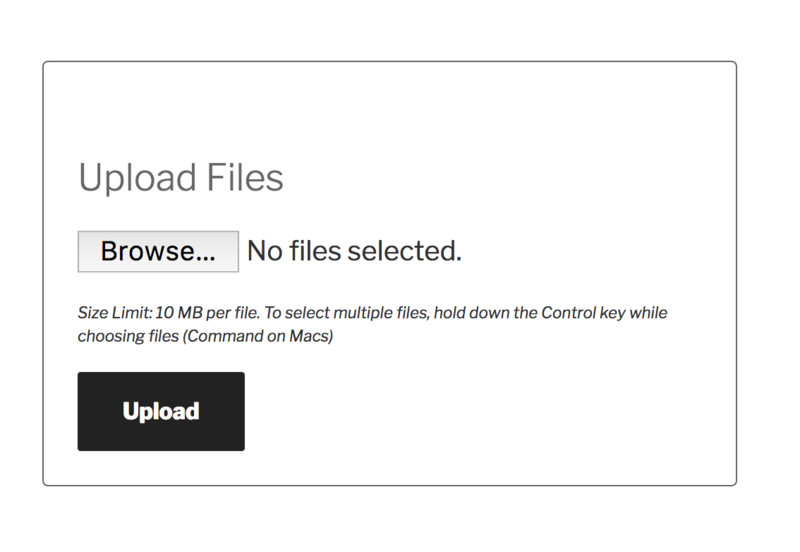 The plugin provides an easy-to-integrate basic user interface allowing visitors, clients, customers, or associates to upload a file as well see a listing of those files (separate from the media library) if you choose. The list and/or the uploader can be turned on and off for the front-side of the website. You can show just the list, just the uploader, or both. You can also restrict uploading and/or viewing of the file list to only logged in users. For list management, there is a page in the administration area which always shows both. Here you can easily view, upload and delete files as needed.